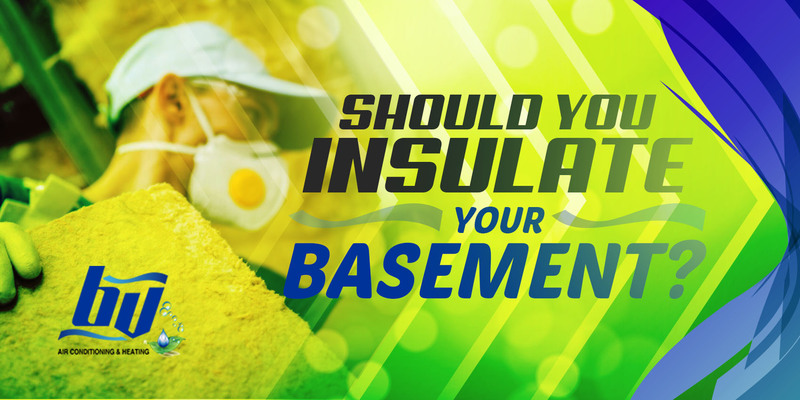 Does insulating your basement make sense? Saying “NO” to this question can be expensive, as basement insulation is one effective way to improve energy efficiency in your home. A properly insulated basement can turn that extra livable space into a comfortable room. Why Add Insulation to Your Basement? If you are after the idea of saving dollars on your monthly bills, then insulating your underground room can be of great help. Especially for older homes with traditional insulation criteria, there is a high cost associated with incorrectly insulated basements. Now here is something you need to understand about getting the right amount and placement of insulation in your basement or storage room. With the changing weather, your basement may suffer from both heat and cold. And the biggest issue that you may encounter with inconsistent temperature in this room is moisture buildup. When moisture seeps in the wall, your home’s foundation may decay over time due to mold. Insulating your lower ground not only keeps the room cool in summer, but also makes it hot during winter. And most importantly, it prevents moisture from building up. How Much Insulation Should You Have? Only a home energy audit can determine the right amount of insulation you need for your basement. You will need the hand of experts to calculate your existing insulation and identify how much R-Value it has. The R-Value measures the overall efficiency of the insulation, which is affected by the type of insulation used and other factors like climate and location. After insulating your underground space, the next thing to think about is what parts of the room next to be insulated. Should you include the walls, floors, and ceiling on the project? Let’s see what the experts say about this. BV Air Conditioning & Heating says insulating the walls of your basement is a wise move for those located in Zone 3 or colder states. A fire-rated covering can be used as the insulation material for the walls. For concrete basement floors, a foam-board, fiberglass or modular flooring are suitable to use for coating or insulation. You can choose whether or not to insulate the ceilings. But if you want to lessen the heat in your space, you can have it done. Is your basement disturbing you? Have our experts at BV Air Conditioning & Heating do a complete inspection to ease your worries. Contact us today for your insulation needs!